Historic Bristol music and spoken word venue St George’s has opened its £6.3m extension – securing a sound financial future for itself and bringing a striking new corporate venue to the city. The wraps came off the building just hours before two of the world’s leading young musicians, a star conductor and an orchestra played to a sell-out audience of more than 500. 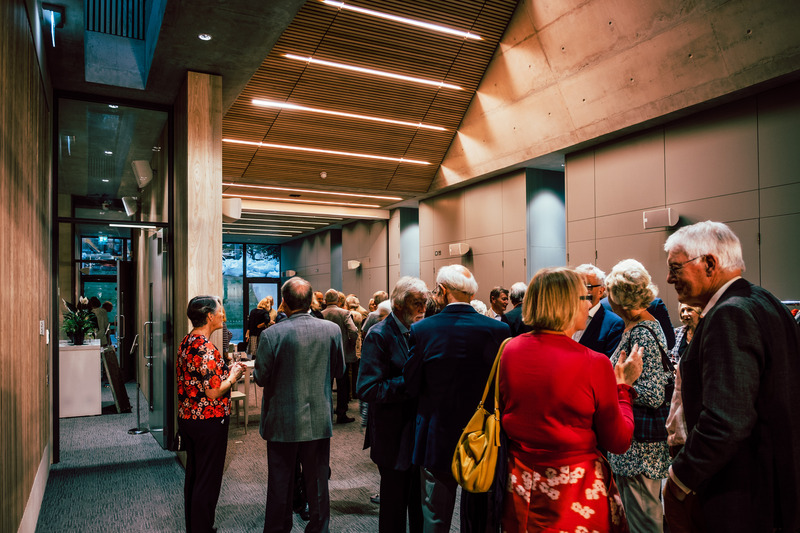 South West construction firm Midas Group has spent the past year building the showpiece extension, which greatly enhances and expands the facilities at the Great George Street venue. 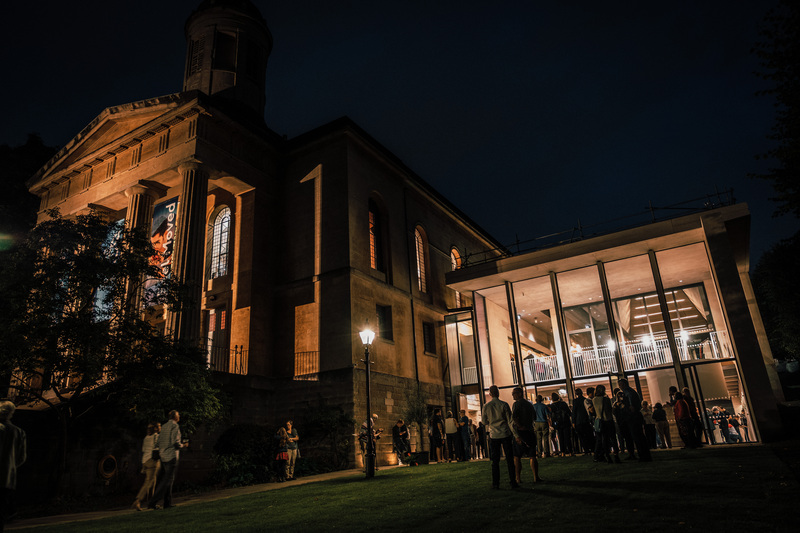 This ambitious and bold project, named ‘Building A Sound Future’, will enable St George’s, a registered charity, to secure its financial sustainability through venue hire. The new café/bar which will soon be open for extended and daytime hours throughout the week and weekend – bringing a vital new income stream. Final touches are still being added, including a beautiful sound wave installation ‘Apollo’, designed by acclaimed Bristol-based international artist Luke Jerram, which will be suspended from the ceiling of the glass-fronted extension. The unique 3m glass sculpture is based a sound file of music by world-leading contemporary composer Philip Glass – who has performed at St George’s – and consists of 100 glass roundels, each sponsored by a donor to the appeal. Businesses will be able to hire the first floor of the extension for corporate events such as conferences, meetings or for pre- and post-event hospitality. 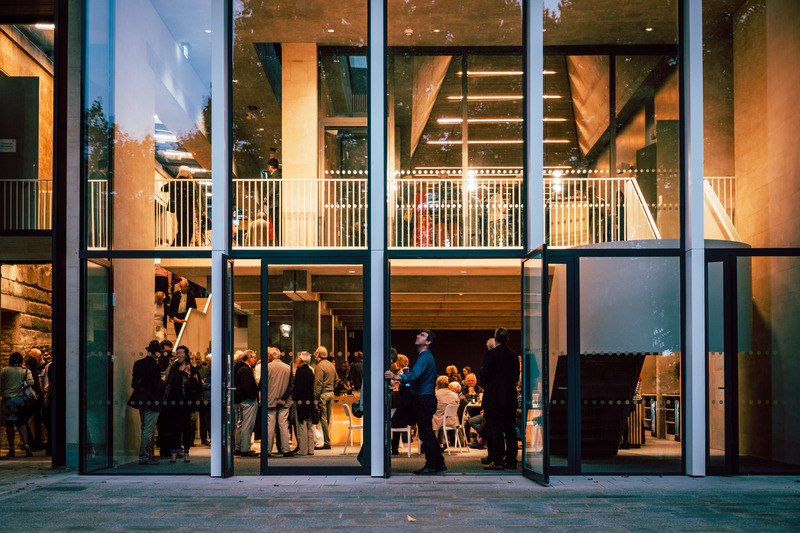 The Glass Studio can accommodate 180 guests standing and 110 seated theatre-style. It an also be partitioned to create separate meeting spaces. 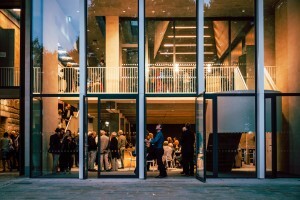 The pavilion-style extension, designed by award-winning London architects Patel Taylor, not only improves the audience, visitor and artist experience, it also offers multi-purpose spaces for performances, education workshops and venue hire and provides step-free access to the historic venue. Additional work has included restoration of the dramatic flight of steps at the front of St George’s and heritage displays within the crypt, including the former bar area – telling the story of the venue, which was originally built in 1823 as a Georgian church in the neo-Classical style. Funding for the project came from Arts Council England (£1.76m), Heritage Lottery Fund (£775,000) and Bristol City Council (£600,000), as well as major and individual donors. 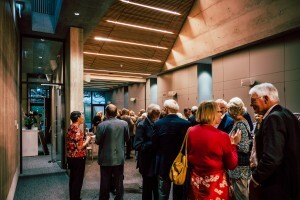 Chief Executive at St George’s Bristol, Suzanne Rolt, said: “We were delighted to welcome the audience into our new extension – a stunning contemporary architectural addition to our well-loved Georgian concert hall. The opening concert featured a starry line-up of musicians in a performance of Beethoven, Haydn, Mendelssohn and Prokofiev. Violinist Nicola Benedetti, recently featured in the BBC Proms and 2004 winner of the prestigious title ‘Young Musician of the Year’, was joined by cellist Laura Van Der Heijden, who received the accolade in 2014, rising star conductor Alpesh Chauhan and the Bristol Ensemble orchestra.